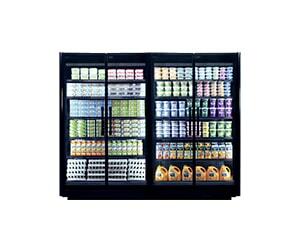 Reach In Coolers - Refrigerated Display Cases | Zero Zone Reach-In Coolers – Zero Zone, Inc. The retail food industry saw a major transition from low temp open cases to door cases in the 1970s. Similarly, with today’s rising energy costs and increasing environmental awareness, there is a marked trend towards reach-in coolers, and away from open multi-decks, for dairy, deli, beverages, and bagged produce. With our focus on reach-in door cases for medium temp products, it only makes sense that Zero Zone is leading this transition. Whether you are concerned about lowering your energy costs or simply creating a more comfortable shopping environment, Zero Zone reach-in coolers are the logical alternative to the multi-decks of yesteryear that forced shoppers to run down the aisles to avoid the chill. 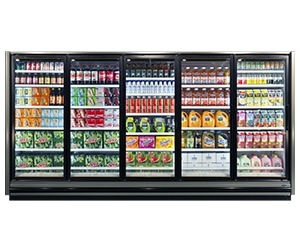 Zero Zone offers reach-in coolers to fit all your needs, including the Crystal Merchandiser®, whose combination of energy savings, facings, and packout leads the market today. 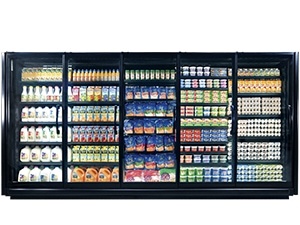 Find a refrigerated display case that fits your exact needs. Contact your Zero Zone Sales Representative today!